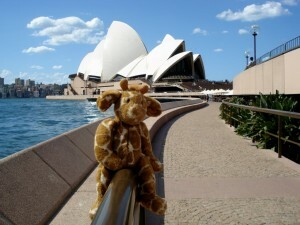 I was really impressed with Sydney Harbour. The bridge, the Opera House and all that water! Did you know that Sydney harbour holds as much water as it takes to fill, er, Sydney Harbour? The Opera House was very nice. 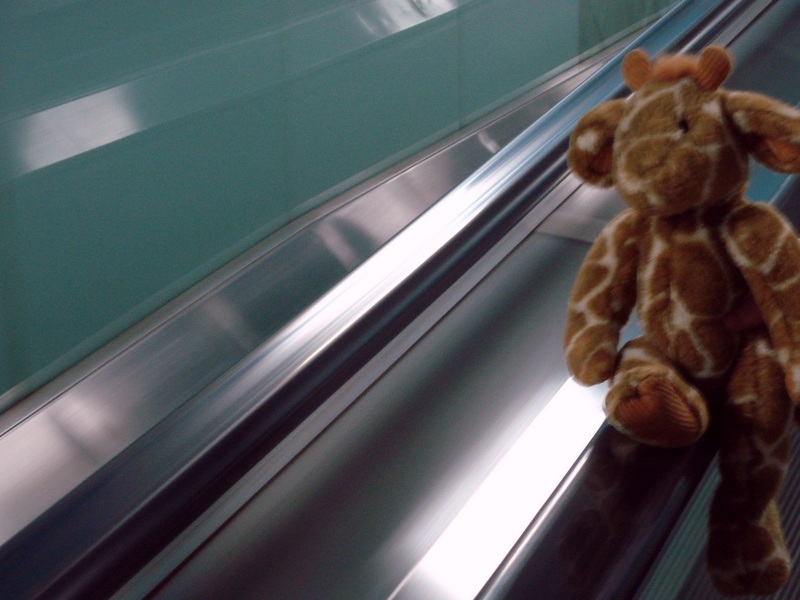 Later that day I got to slide down the escalators. Weeeeeee! I wonder what excitement tomorrow will hold? 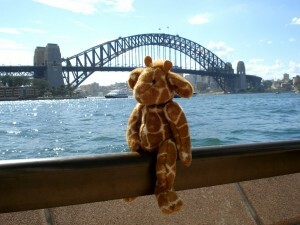 This entry was posted in The Big Road Trip and tagged escalators, godfrey giraffe, sydney on 2007/03/24 by Nimda.